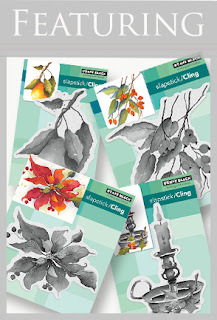 You may have read in my previous post HERE that I am in the midst of some holiday stamp conversions. I have another alternative for Penny Black's Perfect Pear that has been released as part of their fabulous holiday brushstroke collection. 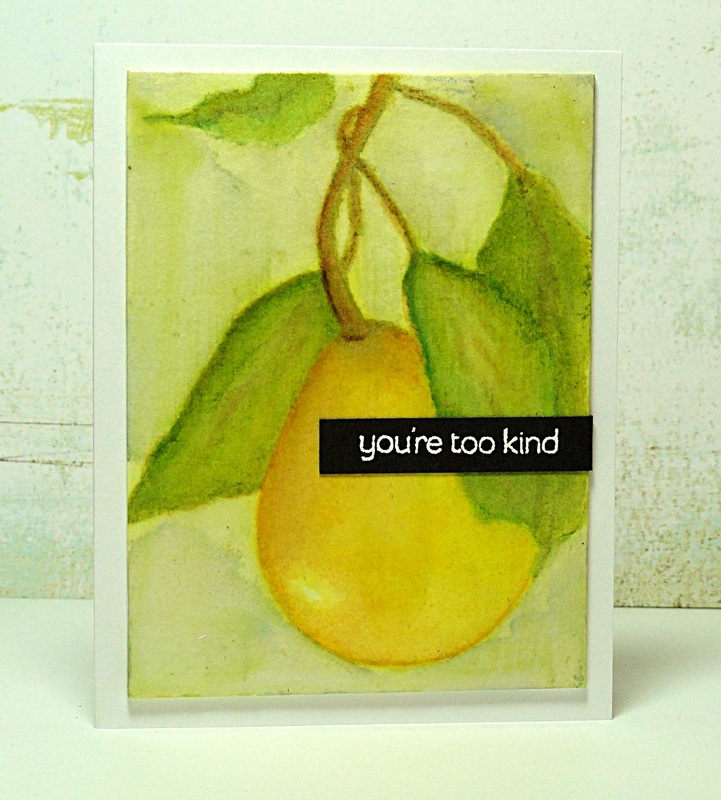 I was inspired by vintage fruit designs used on coasters and kitchenware to create an everyday greeting card. To begin the Art Square was painted with clear gesso. After the gesso dried, Perfect Pear was stamped in Desert Sand Memento Ink and watercolored with various Distress Inks. At this point I didn't like the placement of the stamp design so I trimmed the piece. Working with limited strokes, a coat of Liquitex Gloss Varnish was added. The finished piece had the look and feel of the vintage coasters that had inspired me. A sentiment from Snippets was stamped in VersaMark Watermark ink on a black banner and heat embossed with white powder. The finished design was attached to a 3 3/8 x 4 3/8 white card base. 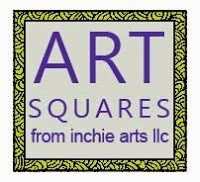 You can find more Inchie Arts inspiration and projects on their BLOG and FACEBOOK page. The bonanza continues with more inspiration from my blog pARTner, Jill!